MANAGEMENT in LOCAL: Ca. 200 m to the park, Ca. 300 m from the center, many cafes and restaurants. After exploring the surrounding area (such as Kempten and Immenstadt with a lot of culture), to Lake Constance, to nearby Vorarlberg or time after Oberstorf) one returns like getting back into the cozy "HOAMATLE". Just great to relax, coupled with the fulfillment of many holiday wishes "on the doorstep": Alpine Peaks (Nagelfluhkette about 5 km) Hiking walks (also in shallower area) - winter sports of all kinds, beautiful large park, the Alpsee-close (Baden , sailing, surfing, fishing in winter possibly also skating) in about 45 -min. You are at Lake Constance (Lindau - Bregenz) and v m..
And - you can taste the regional specialties! Some of our tenants have been regular guests at the "HOAMATLE" for years. You may in the future? Picturesque, very friendly and spacious 2 1/2 ROOM APARTMENT Living / dining room with a total of 5 beds. Gr. Bedroom with 3 beds (third bed separated by a curtain). Hall, kitchen, bath with tub / shower, closet (in apt. ), Balcony, 67 sqm are divided ball. In a really nice residential area in the countryside is this building, which is well kept in the state. In the apartment we have repeatedly carried out necessary renovations. In the cold season you will enjoy snowy birches and firs and the surroundings with winter splendor. Views of the local mountains (Kapf). The large southwest-balcony is covered. AMENITIES and FACILITIES. The tasteful and high quality equipment, which corresponds to a 4 star apartment by local standards; will certainly appeal to you: Very helpful and pleasant is the ELEVATOR,! The apartment is in a multi-storey building with gable roof shape; in the 1. Floor of a house side part at the top. You can drive for loading and unloading virtually directly to the elevator. VOGLAUER SOLID WOOD FURNITURE - 2 flat screen TV in the living -and bedroom. Kitchen with dishwasher. All in all just about everything, what one so on vacation wishes. We see our HOAMATLE actually considered. 2 Heimat AND we have made every effort to consistently set up and maintain this small piece of jewelry in the Allgäu style. The quiet outskirts directly at the hiking and skiing routes allows immediate entry to the holiday experience. 2 bicycles are for. Available. (Magnificent cycling opportunities will delight you). A parking area outside belongs to the apartment. Mega gut ausgestattete Küche und alles war sauber. Wir hatten einen sehr schönen Familienurlaub im Hoamatle. Es herrscht wirklich eine ganz besonders gemütliche Atmosphäre, die Kinder haben sich sehr schnell Zuhause gefühlt. Man merkt dass diese Ferienwohnung lange im Familienbesitz ist da sie sehr gut ausgestattet ist und liebevoll eingerichtet ist. Altmodisch aber gemütlich und zweckmäßig. Oberstaufen and the surrounding area offers nearly everything you would expect from a holiday region. Special embossing gets the lovely foothills of the Alps with the immediate vicinity of the alpine Nagelfluh chain. The outlook accompanies the tourists almost on every corner. Built directly on the outskirts one is directly surrounded by pastures, which provides direct connection to the 200 km long cross-country skiing network in winter. In summer you will enjoy the gentle and far enough away tinkling of cows. Walking and cycling, with stunning stop by, then for many a habit that they do not want to miss out on life. Despite the direct closeness to nature through this beautiful location within walking distance are necessary to the spa gardens (with regular concerts) to enjoy on pretty paths to. A walk through the spa calls to you just a bit of time off because you all "stuck", must admire or visit pretty shops, or because you just sit down, must enjoy a wheat beer or a appetittlichen cake. Holiday vacationers and just watch other while keeping it comfortable drinking a coffee is a special hobby for some. In the morning on the mountains, at noon on / in the inviting Alpsee or swimming pool "Aquaria" in Oberstaufen is ideal for many. However, you are not alone in the place. Many have just appreciate the accumulated vacation options and learned to love it. 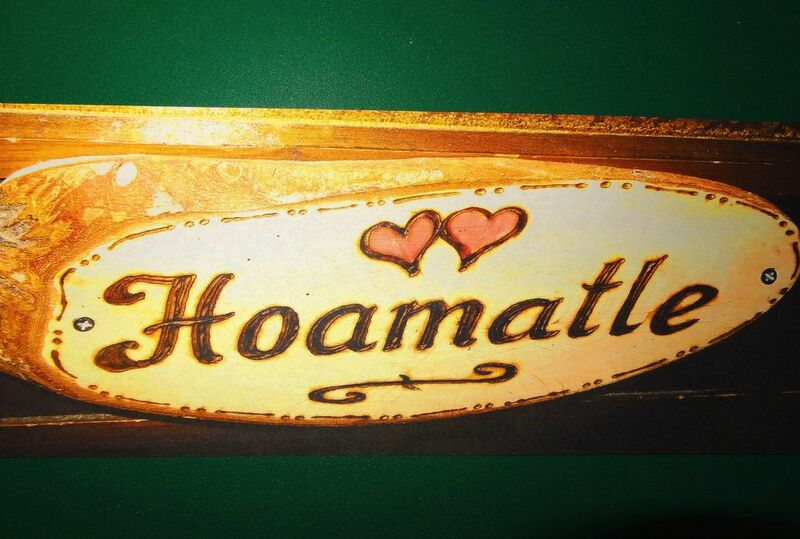 All the better if you can then retire to rest, relaxation and comfort into HOAMATLE again. The u. A. All reasons why considerations arise to draw for quite there. Kurtaxe in Höhe von 2,50 € pro Nacht, pro Person ist fällig bei Anreise. Für Kinder unter 6 Jahren ist sie nicht zu entrichten.